There are several words I could use to summarize 2018: grief, grace, angst, unknown. But another huge piece is self-discovery. This year has been defined by self-discovery, which began with therapy and continued after graduation with the Enneagram. The Enneagram kind of blew up into a big fad this past year, so chances are you might be tired of hearing about it by now. If you haven’t heard of it, basically it’s a personality typing system with nine types labeled (ingeniously) by the numbers One through Nine. I’ll admit I was pretty skeptical when I first heard about it; it seemed like just another personality test but one that was slightly cultish because it had a weird symbol and some pretty die-hard followers. But the more I’ve learned, the more I love this system more than other personality typing systems like Myers-Briggs or StrengthsFinder. 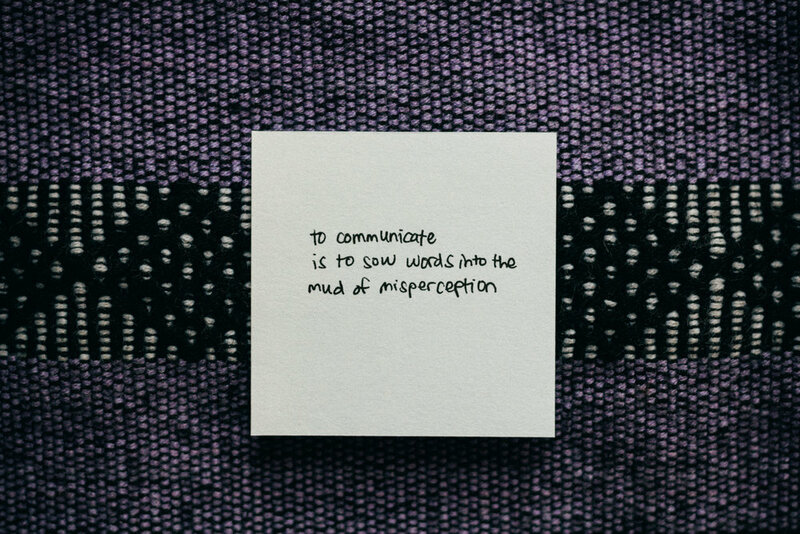 While those are certainly helpful, they don’t go into as much depth as the Enneagram does, and they don’t uncover blind spots and areas of brokenness. As much as it’s hurt to have my blind spots pointed out to me, I think that’s what I’ve appreciated the most from the Enneagram. Another thing I love is that it’s helped me understand other people better. After spending a lot of time learning about my own type, I’ve tried to learn as much as I can about the other eight types, and it’s opened my eyes to how other people think. It’s helped me better understand why we do the things we do and given me greater grace for the areas where we “clash” because we see things differently. At its core, the Enneagram is an incredible tool for empathy. If you haven’t learned much about it before, I’d highly highly recommend that you go check it out (and I listed a few resources at the end of this post to help)! So, I’m a Two. What that means is that I’m highly empathetic, nurturing, and emotionally sensitive. This emotional intelligence is a gift: because I can feel what others are feeling and am highly attuned to others’ needs, people feel comfortable with me and open up easily with me. The “official” title for the Two is “The Helper” or “The Giver,” which fits pretty well, but another name I’ve heard that I think is more accurate is “The Befriender.” At their best, Twos are professional befrienders, seeing the world through the lens of relationships, seeing others’ potential and helping them live in to it, and giving altruistically with no strings attached. When healthy, a Two is a force to be reckoned with. It’s been incredibly empowering to discover this beauty in myself and realize that God has designed me to love powerfully with quiet strength. And my One-wing adds to the muddle of shame and brokenness by demanding that I meet people’s needs and do it perfectly every time. When I first learned all that, it hurt. I didn’t want to believe this was actually the type that fit me the most because I hated all the ugliness, yet deep down inside I knew it was true. I fought it for a long time, but over time realized that it also fit so well with all the other things I’d been learning this year (learning how to feel, realizing that I have needs and that not all needs are mine to carry, resting in the truth that I am valuable and loved). And I can definitely see how all these things have played out with family, friends, coworkers, professors—pretty much all my relationships. Yet as much as it’s hurt to realize all these hidden layers of shame and pride, I’m so grateful that I am now aware of them, and that’s the first step toward growth and transformation. I’m learning how to pay attention to/acknowledge my own needs, give myself permission to have needs at all, and ask others to help meet them. I’m learning that my needs actually make me more human, not less. I’m learning how to acknowledge and get in touch with my own feelings and manage them instead of repressing or overdoing them. I’m learning to live in to the gift of my brokenness. I’m learning that my brokenness is far more potent than my natural ability to connect with others, and once I’m able to own it and embrace it rather than resist it, it becomes a means for deeper relationship and deeper good. I’m learning how to love and acknowledge myself and realize that I matter. I’m learning that even if I don’t feel worthy, I am worthy, and I’m learning that my worth is not in what I do. I’m learning how to be alone, how to exist outside the context of relationship. I’m learning that solitude is really important and that I need to practice it, because it’s the only way I can get to know myself (this is one of the hardest ones). I’m learning how to rest in grace. I’m learning that I don’t need to do anything, and that I only need to posture myself to receive it. I’m learning that true love requires nothing of me and is attached to nothing. I’m learning how to set boundaries and say no. I’m learning that I can say no, that not everything is mine to do, that I don’t need to fix everything. I’m learning to be aware of my motives. I’m learning to ask for help instead of using manipulation to get what I need. I’m learning that true humility and holiness looks like “being precisely who I am at any given time before God and other people” (roughly quoted from Thomas Merton) without needing to make myself larger or smaller. If you’ve gotten this far, thank you for reading. I hope that what I’ve shared resonates with you and your own story. I’d love to hear your thoughts, so if you want, leave a comment or send me a message through the contact page! Till next time, friends. If you’re interested in learning more about the Enneagram, here are a few resources I’d recommend! The Enneagram Institute website has some pretty in-depth descriptions of each of the nine types and a bunch of other information, all for free! You can also take the official Enneagram test from this website for only $12, but I’d definitely recommend just reading the type descriptions first and seeing which one resonates with you (or hurts) the most (the test isn’t always accurate—I actually scored higher for 6 and 9 than for 2 when I took it). The Typology podcast has dozens of interviews with people from all nine types. A couple good summary/overview podcasts that describe what the Enneagram is and each of the nine types: this one from The Liturgists and Episode 2 from Enneagram and Coffee. The Sacred Enneagram by Chris Huertz is a really helpful book that connects each of the nine types to a specific spiritual practice that is targeted to combat the self-destructive patterns that type falls into. Being a bridesmaid in the wedding of one of my first friends in college. 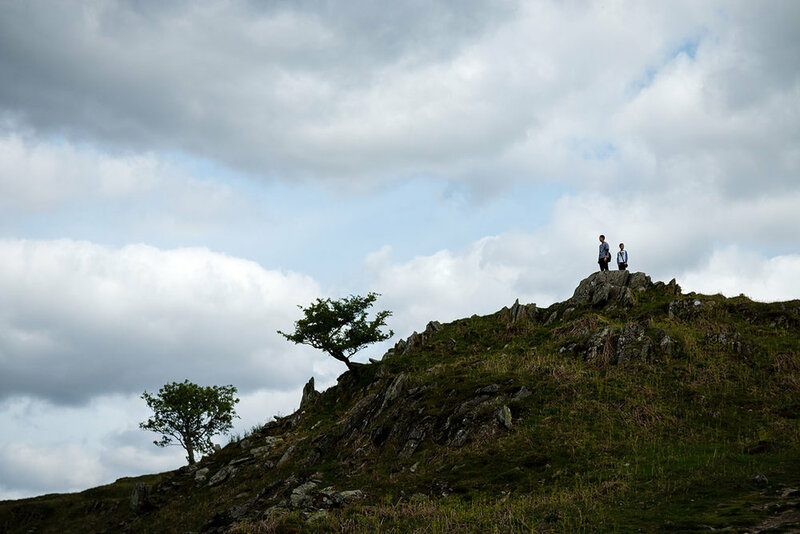 Private-tutoring photography—a really good learning experience for me too. Starting to wear glasses every day because my eyes are officially bad enough to need them. A lot of car trouble that ended in selling my old 1998 Civic and upgrading to a 2006 Corolla. In the midst of both the big and the small happenings, there are several more significant lessons and themes from 2018 that stand out in my memory. The first is that I have needs. I know, shocker. But I’ll be honest that before this year, the thought never once crossed my mind that I have needs that have often not been met (usually in regard to my family), and that those needs are valuable. Along with this lesson is the truth that I am valuable. It’s been painful to uncover layers of shame, unworthiness, and self-doubt that have kept me from being comfortable with who I am, the person God made me to be. I realized this year that I need to have as much compassion for myself as I do for everyone else. Self-care is a topic that came up quite often in therapy, and it made me squirm every time because I’ve always seen taking care of myself as selfish. But I’ve learned that actually, caring for myself is absolutely necessary if I’m to be able to care for others the way God has designed me to. Related to this theme of self-care is the theme of boundaries. I learned this year that not all needs are mine to carry. I tend to take on needs that are not my responsibility to fill. Again, most of this relates to family, but I can also see this played out in other relationships. I want to be able to fix everything, but not everything is mine to fix. Early this year I talked with a professor about a situation at home that I was really frustrated and sad about, and he gently told me “It’s not yours to carry.” I felt a little offended at first—like, shouldn’t I be able to fix this? But I think that is one of the most freeing things I have ever heard in my life. I often still have a hard time discerning between what is a real responsibility and what I need to let go of, but it’s a good start in the right direction. Another theme this year was being brave and being truthful. One of the hardest and most significant things I did in 2018 was producing my senior show, which was centered around my family’s adoption story. It was not a light project, to say the least. It was incredibly hard to not only process through my own grief enough to make art about it but also to share my story publicly. It took courage to look at myself, face my pain honestly, and tell the truth about what I learned with others. There are two facets to telling the truth that I’ve discovered. The first is speaking the truth to others: being honest about hurt that needs to be confronted and about what I need, want, or expect in our relationship. The second is telling the truth to myself: facing my own sin and brokenness and being honest about the ugly things I’d rather not see in myself. It takes courage to tell the truth, and I am not naturally a confident person. But paradoxically, I’ve realized how much more confident and brave I have become because God has been helping me to tell the truth to others and to myself. Grace has been a theme of the past couple years (ever since 2016, which was when a lot of the healing and growth that’s happened this year had its start). And I think it has still been a big theme of this year, too. But grace and truth go together. I think this year, truth has come alongside grace, and I am learning how to hold both together. This year held one of the biggest life transitions I’ve ever experienced (second only to the transition after my sister was adopted). I’m still working on this one, but a big thing I learned from this transition is the importance of being present here. More often than not, I throw a mental temper-tantrum with God and complain, “Why did you put me here? Why am I living at home again? Why do I have to go through all this grief all at once? Why did you take away the support system it took me four years to build, right after I had solidified it? Why is there so much unknown? Why can I not have more things figured out?” But God has been slowly showing me that here is a sacred place. He isn’t limited by where I want to be; he is wherever I am. And I am here, so God is here. And that means that here is where God will work. I may not like what “here” is (and if I’m honest with myself, I didn’t always like it in college, either), but there is beauty and life and growth to be found wherever my “here” is. Another theme that has come up repeatedly this year is both/and: the truth that many things don’t exist solely as a pair of two extremes, and there’s a continuum of gray in between that is not all “bad” or “wrong.” I’ve been thinking a lot about holding differences in tension. A big part of this is in relation to people. It’s quite obvious that humans have vastly different opinions and perspectives, and that we fight over those differences and often cannot see from the other’s point of view. I don’t want to go into all those differences right now, but in summary I’ve been learning that more often than not, there are more than just two sides to an issue, and sometimes there are no right answers. There’s more to learn from each other than we think, and while there are some truths that remain black-and-white, there’s a lot more gray in life than we’d like to believe. And gray is not the absence of truth. We don’t have to agree with each other on everything, but I also believe that before we disagree, we need to listen. And in listening, we can learn from one another. 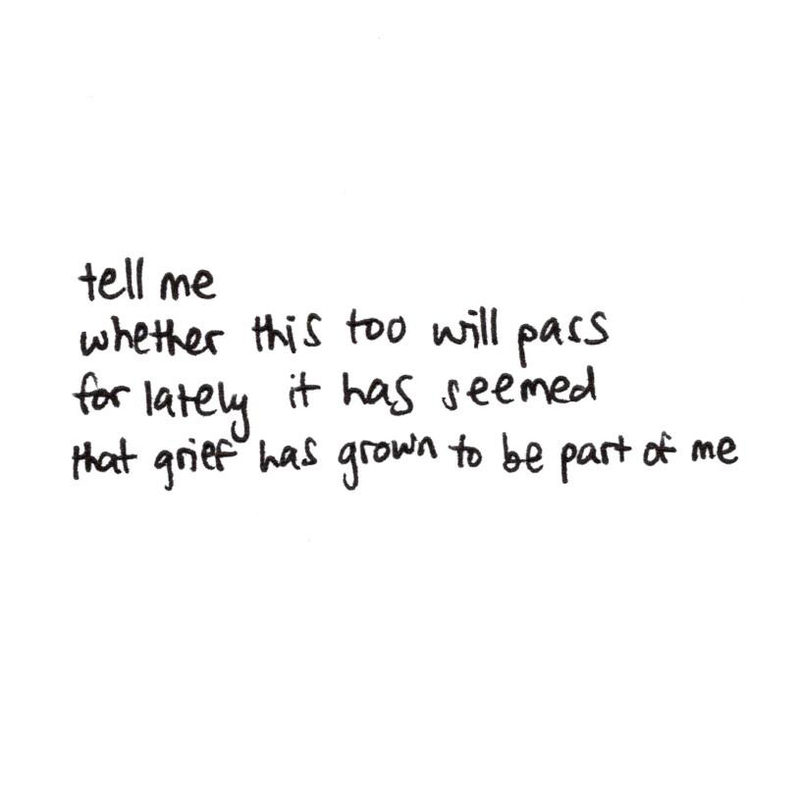 Quite often this year, “both/and” has also related to grief. I used to always separate grief and joy as two opposite emotions that could have no overlap. 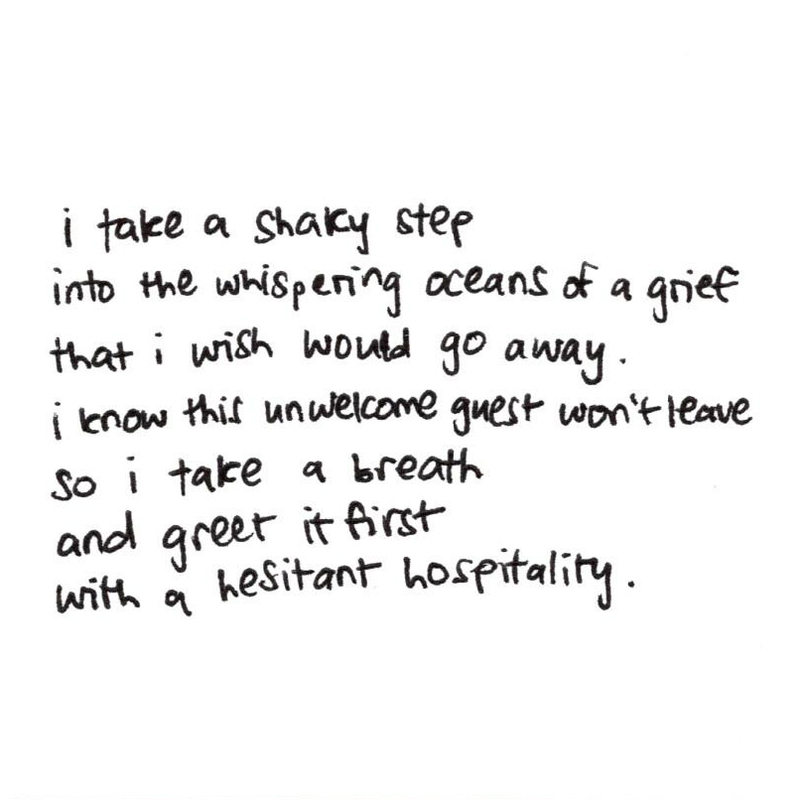 I thought it was impossible to feel joy when grieving, and vice versa. 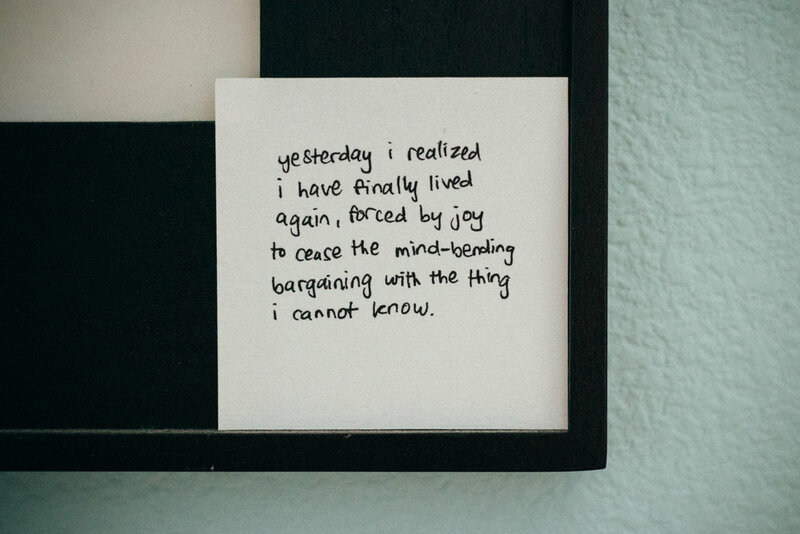 I’m learning, though, that maybe grief and joy can be held together. Perhaps grief is not the absence of joy, and—even more profoundly—joy is not the absence of grief. I want to continue growing in this, posturing myself toward life with both hands open, willing to listen, engage, and receive from both sides, seeing the truth each has to offer and embracing the fact that perhaps not all “not knowing” is bad. Two-thousand-eighteen. Man, what a year. Then I graduated and “real life” (whatever that means) began…with a trip to the U.K. with my family. But for real, after the vacation was over, I started working part-time and trying to figure out what the heck I’m doing with my life. That’s 2018 in a nutshell, but there was a whole lot more to it than that. Perhaps more than any other year, I learned some significant lessons that will stay with me for the rest of my life. I’m going to break them up into three posts because there was so much and it would be kind of overwhelming to have it all in one long post. So, here's part 1. The most important lesson I learned this year is the truth that it’s okay to feel. I am an emotionally sensitive and compassionate person, but after my family adopted my special-needs sister in 2012, I felt so much pain that I gradually shut all my feelings down. It hurt too much. This year, I learned how to feel again. I learned that actually, it’s okay to feel all the emotions, especially the ones I label as “negative”: sadness, grief, anger, shame, fear, etc. I learned that I need to make space for feeling, and that I need to feel honestly—allowing myself to feel whatever emotion I have at the moment, acknowledging and accepting it instead of denying, ignoring, or stuffing it down. Thanks to the help of my therapist, I uncovered a boatload of ungrieved grief this year and was forced to literally break down and weep, again and again, until that grief was felt for what it was—I had no idea how deep that pain went until she started digging at it. If there’s anything I learned this year, it’s that grief demands to be felt, and if it’s pushed down (even for years and years), eventually it will find a way to make itself known. Grief has been a defining factor of this year. At the beginning of the year, it centered around the pain and brokenness in my family. Since graduation, there has been a less potent (but still significant) season of grief as I have wrestled with the huge transition of leaving the safety and support of the community I’ve been surrounded with for four years, living at home again, and figuring out what to do next. 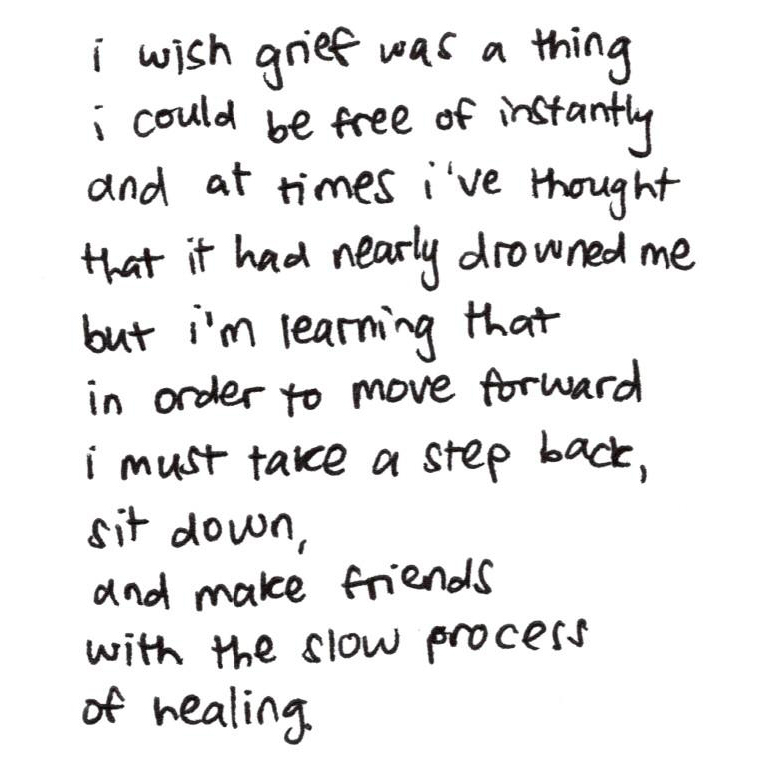 But as much as I wish I didn’t have to deal with all of this at once, I’ve also realized that grief is a gift. One of my professors, a dear friend and mentor, comforted me with the reminder that feeling all these messy emotions is actually a sign of growth. It’s an indication that God trusts me enough to handle it now, because it probably would have been too much for me even a year ago. He decided that now was the right time to kick that door open, as much as the timing seems strange to me. So as much as this year has hurt, it’s been one of the best years yet because I’ve been able to feel that pain honestly and with hope. Even so, on a lot of days it’s hard and just plain sucky. I’m trying to remember that this won’t last forever, and that there are still good things to come. 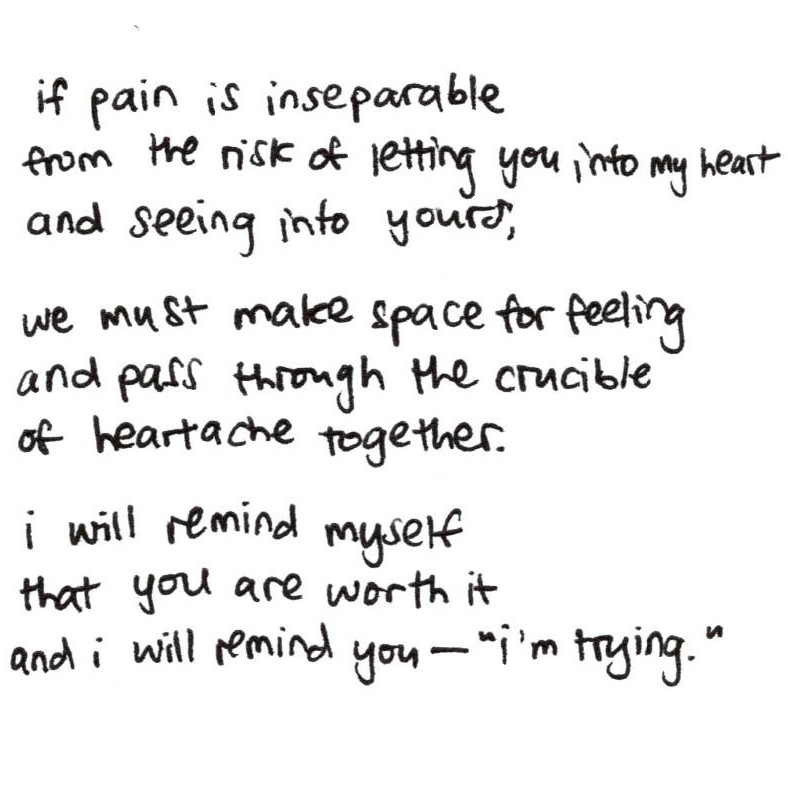 I hope that if you’re in this place too, you can find comfort in that as well. In September last year, I created a project for myself to write a poem every day that month (I wrote about that project and posted some of my poems here). I enjoyed the challenge of doing something every day and decided to try it again in October, but with photography instead of poetry. That lasted a total of about three days. I just wasn’t excited about the pictures I was taking, so I decided to go back to writing more poems. So I did another poem-a-day-for-a-month in October, except that it was more like writing five poems all at once, once a week, and finishing them all a week or so into November. I meant to post the best ones after I finished, but I never did. I’m adding them here because a consistent theme throughout all of them was this weird grieving process I’m going through. It kind of surprised me to read through all my poems at the end of the month and realize that almost all of them were about grief, pain, and making space for feeling. Chances are, you’re going through a season of sadness, pain, or change as well, and if that’s you, I hope these poems can meet you there. I’ve realized since graduating that without the motivation of assignment deadlines and a tight class schedule, it’s a lot more challenging to keep creating. Something I heard about a lot in school was the importance of setting up a daily practice. After doing something every day in June for a collaborative project (see it here), I realized that a daily practice was quite manageable and really enjoyable. I decided to try a daily practice again for the month of September. This time, I made a goal to write a short poem every day, resulting in 30 poems by the end of the month. I’ve found that daily practices are helpful because they keep me creating something every day, without the pressure of needing to make something amazing each time. A daily practice leaves room for experimentation and even failure. Because I’m making something small every day, I’m not expecting that everything I make will be a polished final product. But more often than I expect, I find that I’ve actually made something I really like. The consistency of setting a simple goal for each day also keeps me making, whether or not I feel like it. As with any daily routine, there are some days when the creative juices are flowing and ideas abound, and other days when I have no inspiration or motivation to make anything. Having a daily practice is helpful for the “dry” days, because it forces me to at least try something and not keep putting off creating until I have a moment of inspiration or perfect plan (which may never happen). In fact, creating even when I don’t have any ideas may actually result in new ideas and inspiration. Keeping a daily practice is like training for a race: jogging a little bit every day, keeping up a momentum (even if slow) so that when a good idea does come, I have something to work off of instead of trying to start from ground zero. It’s a rhythm of making that I engage in every day that keeps my mind fresh for when a good idea does occur. Pick a source at random. Use Google’s random number generator to generate a random number within the number of pages in the book (or, for the music, the number of songs in the record). Go to that page number in the book (or that song, for the music). Generate another random number between 1-100. Count words on that page/song up to the second randomly generated number. Look at the word landed on. If it’s boring (prepositions, a/an/the/and, etc. ), look at the two words on either side of it. If one of those is a good word, choose it (repeat the process if needed until there’s an interesting word). Repeat the process with 3 other sources. Use the 4 words randomly generated from the 4 sources and write a poem (aim for haiku length, but it can be longer). I used this system to write one poem every day for the month of September. Of course, not all 30 of them were perfect poems (quite a few were pretty cheesy or didn’t make much sense), but I was happy that I was able to consistently make something every day, and that’s a reward in itself. The ones in this post are my favorites. Since this process went so well last month, I want to try it again this month, this time with taking photos instead of writing poems. I’ll post the results in a few weeks! I’ve thought about starting a blog for quite some time, but have never felt brave enough to do it. I’m not sure how often I will post, but I decided to start something now because of what I’ve been pondering over the past month. I’ve been thinking a lot about present experiences, being present to our experiences, how a life lived honestly holds both sides of the spectrum of emotions together, and how important our physical bodies are as humans—we are more than just a spirit or soul. All these thoughts seemed to come to a climax yesterday morning while at church. And since I spent so much time thinking and processing what happened through writing about it, I thought I may as well share it, in hopes that it might encourage someone. I’ve been attending a Sunday School class where we’ve been studying a new hymn every week. This week’s hymn was a more obscure one called “I am the Bread of Life.” The entire hymn is quotes from John chapters 6 and 11, and the theme is resurrection. During the discussion time in class, I was struck by the things several people said concerning death and resurrection, especially following the testimony of one person who was hurting deeply. I honestly don’t remember who said them, nor is it my wish to bash on them or be overly critical. But there is much that was said that I disagree with, and while I was not confident I had the words (or composure) to express what I was thinking in the moment, I’ve thought a lot about it since and have clarified what it was that so bothered me (I suppose that’s also my introverted tendency: I never know the right words to say in the moment, but have all the words five hours later. Ha.). So here follows my thoughts (rants? ): the words I wish I was brave and tactful enough to say to people at church who don’t want to cry at funerals and are convinced that all our suffering is only spiritual. God is so much more than we allow ourselves to believe. We are so much more than we allow ourselves to believe. This matters, this body matters, these experiences and present situations matter. Now matters. Resurrection is not just a foggy future hope, it is a present reality. There's more to life than just spirit. There's more to now than just what comes later. Life is both/and. We limit ourselves with either/or, false dichotomies. What if there’s a duality instead? What if the spirit matters, and the body matters? What if the future matters, and the now matters? What if my experiences matter, and your experiences? What if our joy matters, and our sorrow? What if both pain and rejoicing can be experienced together? It’s not an either-or. We are both-and creatures. We are so much more than we allow ourselves to believe. But we are afraid of believing it. We are afraid of naming here, afraid that that will give it power over us. But what if naming here actually frees us to live more honestly and humanly? Because not naming here won’t change the fact that we’re here and not there. So we might as well look here in the face, calling it what it is and relieving ourselves from the anxiety of knowing-but-not-wanting-to-admit what is already there. And here includes being in a body, being inside space and time and circumstances, things we have little control over. Perhaps we are so afraid of naming our pain because we don't want to admit that our physical bodies matter. We cannot name our pain if we cannot name our bodies. We don’t want to believe that we are more than just spirit and soul, that we are affected by the physicality of what's happening around and in us, and not just spiritual realities. Perhaps we do not know what to do with suffering because we are so focused on the hope of a future resurrection, when death will no longer haunt our steps and all things will be made right. And of course, we must cling to that hope. But the trouble comes when we infer that therefore, right now, death doesn’t matter. So we are confused when death still happens, and we don’t know what to do with the pain we feel when a loved one’s spirit is stripped from their body. And we try to convince ourselves that it’s okay not to cry, because we’ll see them again one day in heaven, ignoring the reality that death is unnatural, that our bodies and spirits were never meant to be separated from each other. But if we also realize that resurrection is a current reality, we will see that God is renewing us right now, even in the midst of our suffering and death—we cannot limit him by assuming he is only able to work at some vague distant time in the future. And if he is working now, our experiences now therefore matter. What is in the future matters, but it’s not the only thing that matters. And when we realize that, we will be able to face our current experiences with more honesty, calling them for what they are and realizing that we have hope even now, when everything is going right and when everything is going absolutely wrong. And we will be able to grieve and lament over suffering and death, because they are part of the reality of our experience in this life. At the root of all this, my hope is to become more honest with myself, allowing myself to acknowledge the weight of the here and now of my present experience, while also acknowledging the weight of others’ heres and nows, because most often my here is not the same as another’s here. This is such an important thing, because if I try to advise another in their pain while ignoring their present reality, the message I give is that their current suffering doesn’t matter, and that is no comfort at all—it’s actually insensitive and hurtful to the one in pain. This is something I’ve been growing in but am still working on, and it’s something I want to pursue wholeheartedly, because I believe welcoming here leads to a fuller, more wonderfully human life. So here’s to living fully in the here and now, with our hearts set on the promised future glory.